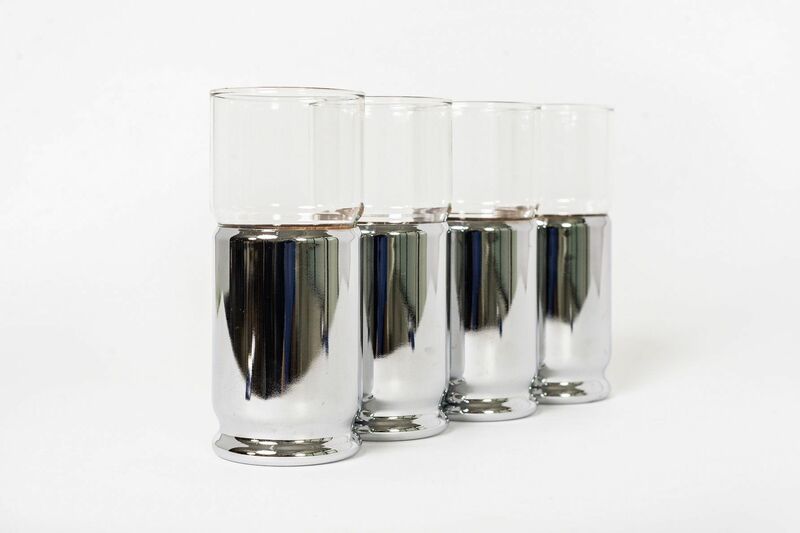 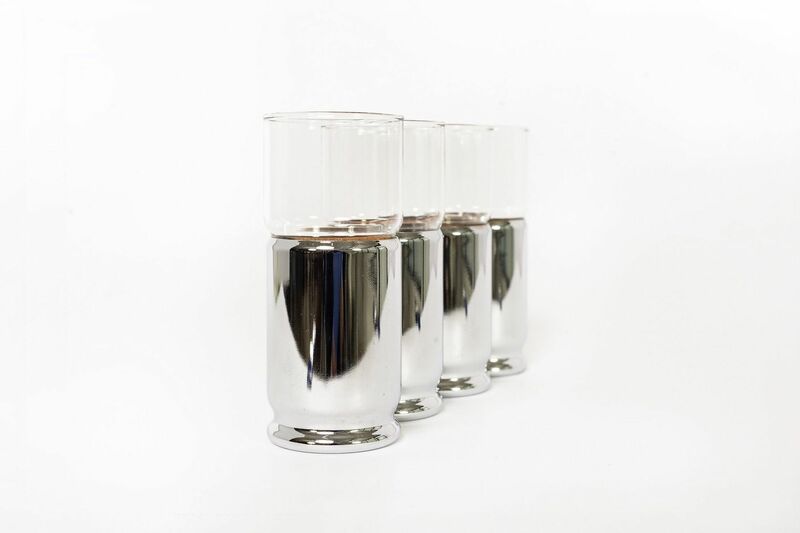 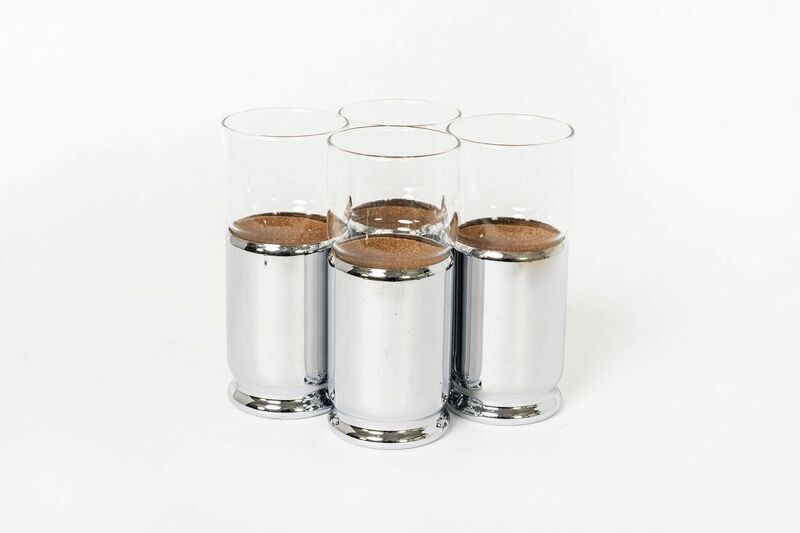 This set of vintage mid century modern highball cocktail or drinking glasses has a clean, modernist design with gently curved lines. 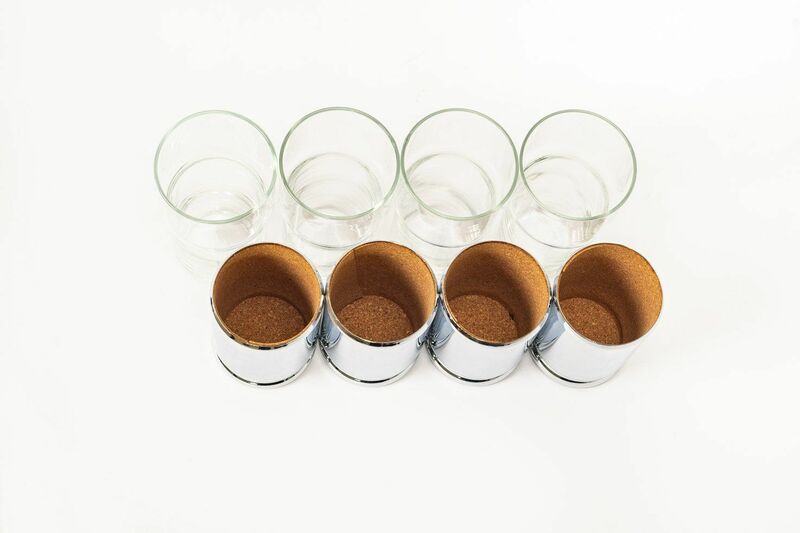 The clear glasses have removable silver sleeves and interior cork liner. 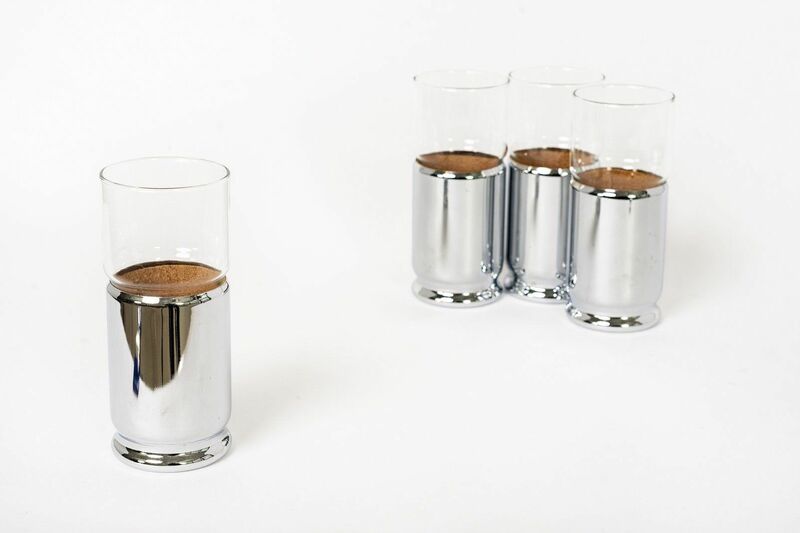 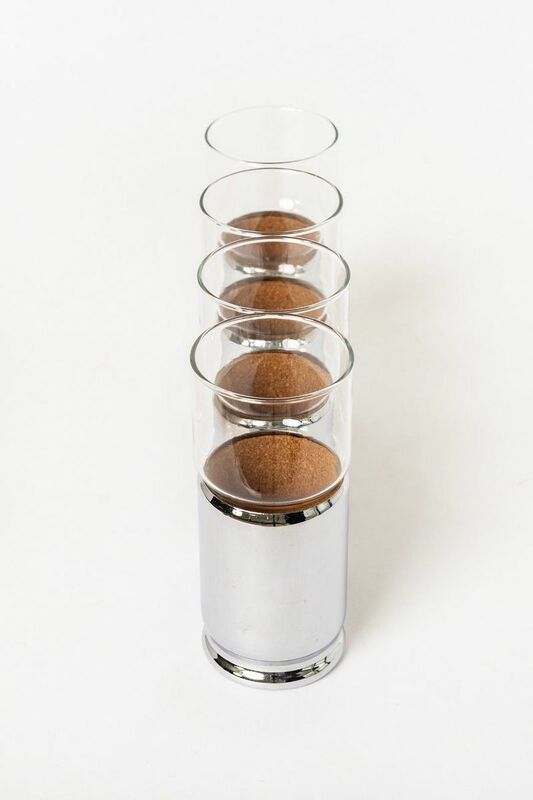 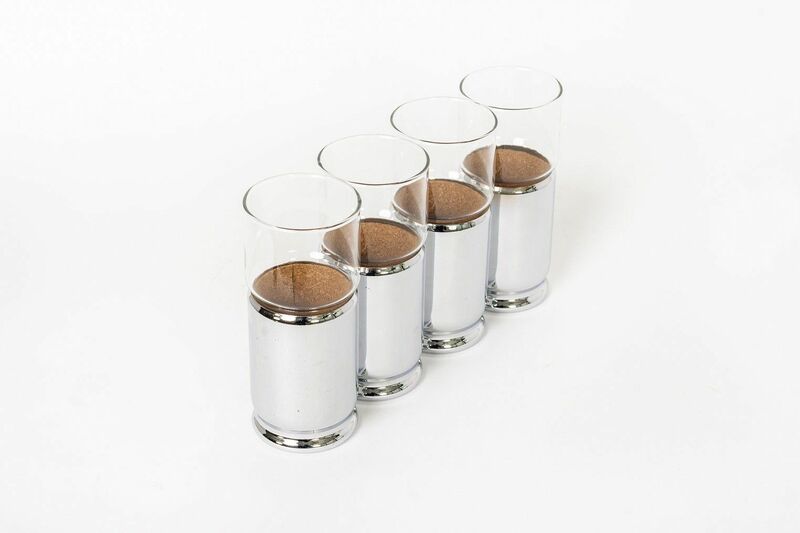 These versatile glasses can be used as highballs, tumblers or drinking glasses. 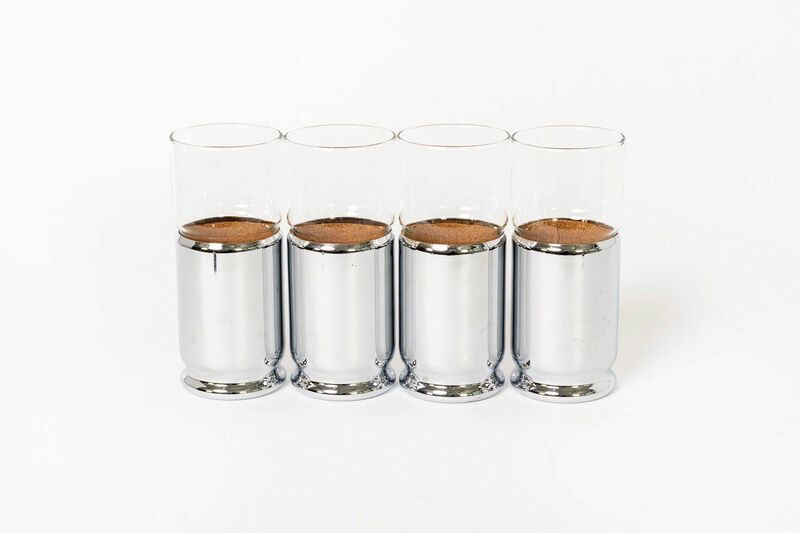 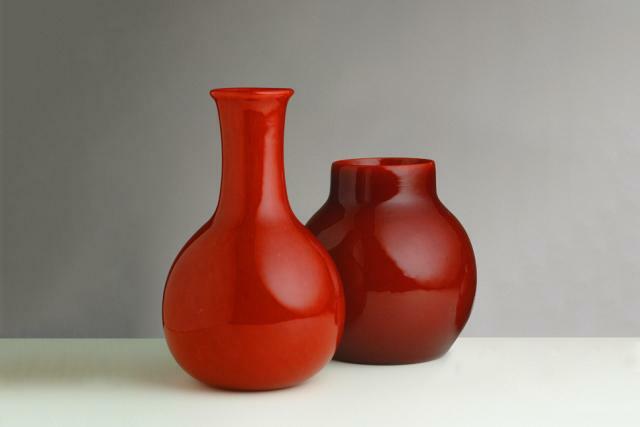 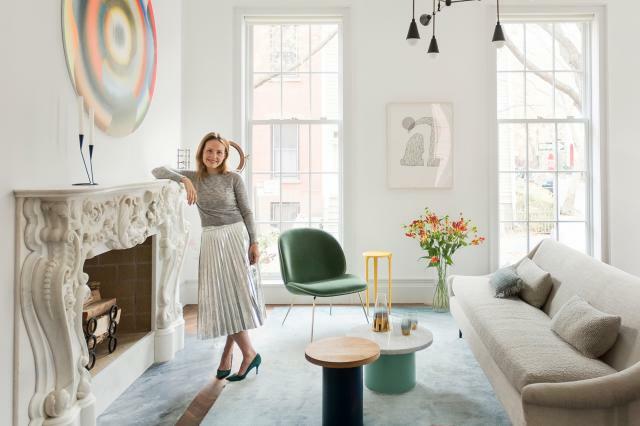 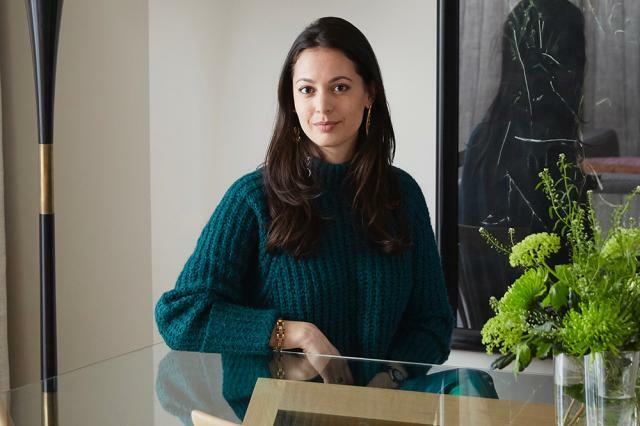 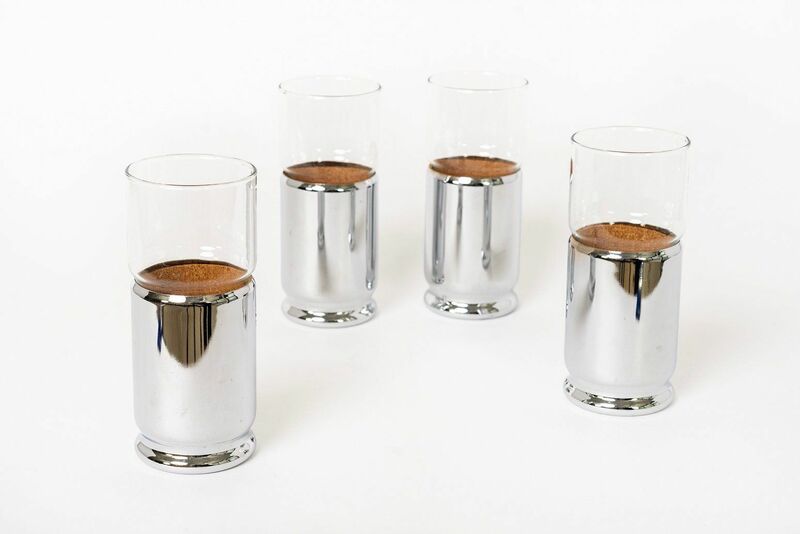 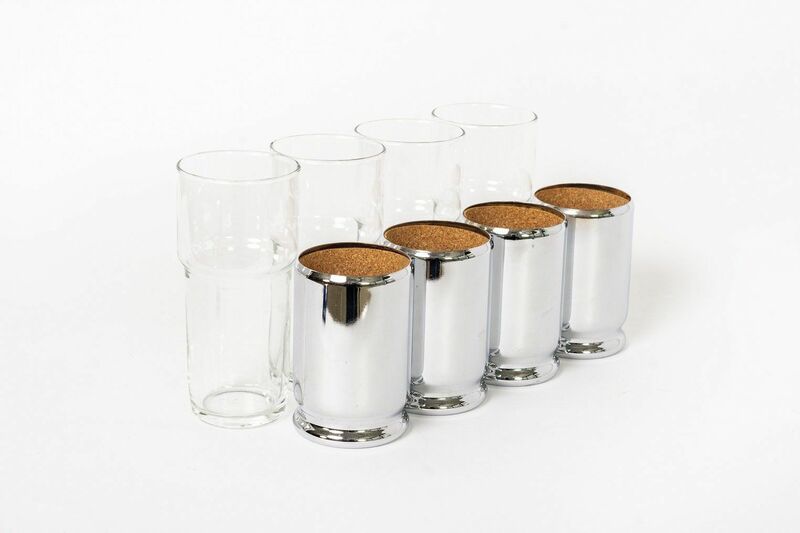 A unique set to add to your mid century inspired barware collection.